Baseball season is in full swing and here at Cake Bites we're proud to partner with the Frisco RoughRiders! You can now purchase our cake balls in all the suites at the RoughRiders stadium. Looking for a fun family activity? Come on out to the Dr. Pepper Ballpark and enjoy an evening of baseball and cake balls! Want the cake balls but not the game? 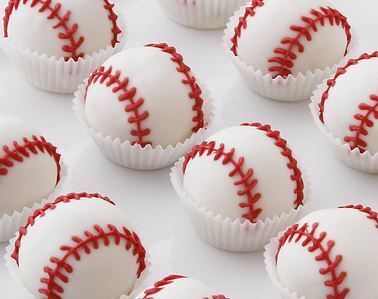 Order our baseball cake balls at this link http://www.cakebites.biz/cake-bites/holidays/fathers-day/baseball-cake-bites/.